Every business wants productive and happy employees. This is partly because they increase financial performance. In fact, Harvard Business School conducted a study in 2015 where they found that a company’s most productive employees can increase its yearly profits by five thousand dollars. Numerous studies have been conducted on productivity and the end conclusion is always the same - productive employees are good for a business. As the office environment is where most employees spend most of their working time, it is without a doubt that office environment and productivity go hand-in-hand. We’ve done our research and rounded up 10 easy ways you can improve your office environment. Keep reading to find out how to make your employees more productive than ever! Natural light has multiple health and productivity benefits. Firstly, natural light exposure during the day has been found to make for a better night’s sleep. It is common knowledge that having a better night’s sleep makes you more productive and concentrated the following day. Secondly, artificial light has been found to be bad for people’s eyesight and also to cause headaches. This is because the eyes have to focus much more than they would if they were in natural daylight. Natural light has also been proven to directly boost productivity. The Swiss Federal Institute of Technology found that employees working in natural light had higher levels of energy than those who weren’t. The choice between having an office filled with music, and one that operates in silence, is up to personal and management preference. Some offices find that music can help boost employees’ mood and get them energised to work. However, in some industries, concentration is paramount and music is unconducive to this. Cornell University found that when offices played ‘happy’ music like ‘Walking on Sunshine’, employees were able to cooperate and make group decisions more efficiently. Here at Plecto, we use Sonos speakers around the office that create pockets of sound and can be controlled individually. This means that those who want to listen to music can, but there is also the possibility for silence or quieter working in some departments. Another option if you have an office which is split on their appreciation or distaste for music in the workplace, is to split people into seating areas based on their preference. It is good for employees to move around and get their muscles working and blood flowing. 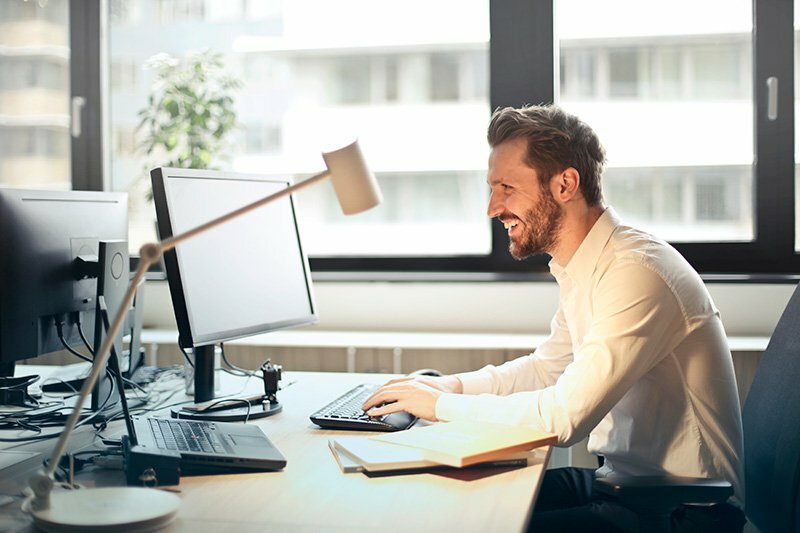 A stand-up desk has become almost expected in most offices, but if you still haven’t made the switch then consider the health and productivity benefits they can have. Texas A&M University conducted research into the effect of standing desks at a call center. They found that productivity increased once standing desks were introduced. 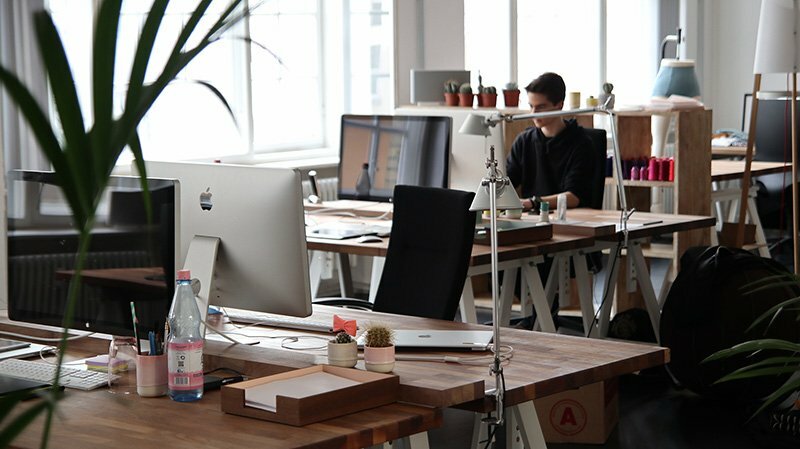 Instead of a fixed standing desk, many offices have moveable desk that allow people to switch between sitting and standing throughout the day. This gives employees the freedom to choose how they will be most productive. For many people, a cluttered personal environment has a direct effect on their mental state and can lead to stress and disorganisation. Cluttered work environments can also lead to workplace stress as employees search for papers and important items. In fact, the average executive loses an hour of productivity each day searching for missing or misplaced information! If your office has a mess problem, consider encouraging employees to tidy up their desks at the end of the day so they are fresh for the next day. Also, ensure employees have access to suitable filing systems so their documents are organised properly. Most offices tend to split their seating layout based on department. This is mainly for practicality reasons as departments tend to need to communicate with each other many times a day. However, it could be a better idea to organise people based on their personality or working style. 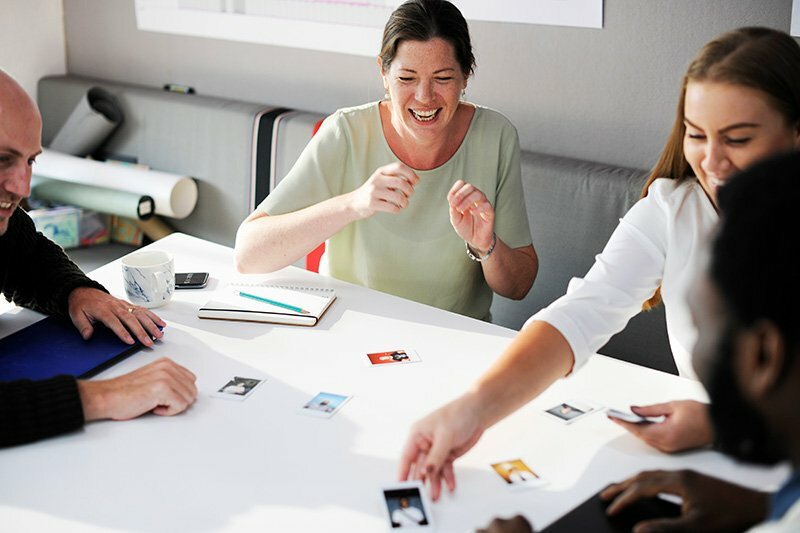 Many companies require employees to complete some kind of personality test or profile once they join the company in order to discover how they prefer to be communicated with. These results could be used to place people so that they are working to their maximum productivity around people that think or work similarly. Bringing nature into the office has found to increase employee well-being and productivity. The University of Exeter found that productivity increased by 15% when just a couple of plants were brought into the office environment. Plants also help clean the air of the room that they’re in, which is great as modern office buildings often have air with ten times more pollutants than outdoors! Clean air is better for employees’ health and could indirectly influence productivity. The optimal office temperature has long been debated. Mark Zuckerberg likes to keep his working environment at a chilly 15 degrees, whilst Barack Obama was known for keeping the Oval Office extremely hot. Lots of conflicting research has been published about air temperature, but it seems that the overreaching conclusion is that warmer is better. Cornell University determined way back in 2004 that office workers were more productive when they were warm; to be precise around 25 degrees or 77 farenheit. Having fun at work has been found to boost productivity levels. Endorphins are released, which raises employees’ moods and allows them to be more creative and productive once they return to their desk. If you don’t have one already, make sure you have an area where employees can take 10 minutes to relax over a game of table football, or even just a comfy chair. Having areas in the office dedicated to innovation and idea creation are brilliant at fostering creativity and productivity. You should stock your brainstorm area with all the tools needed for brainstorming, like post-it notes, marker pens and highlighters. Another good idea is to place a TV screen in this area so people can easily share their screens to the whole group. A TV dashboard in your office is a great way to boost productivity levels. 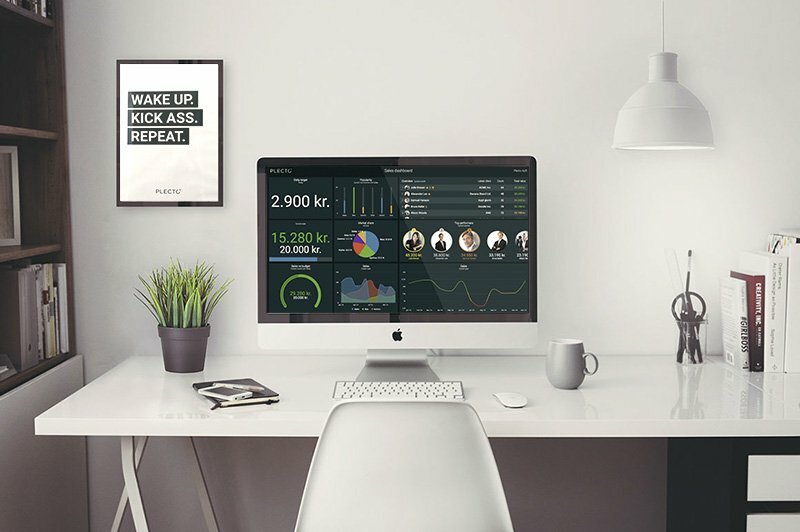 Firstly, dashboards are a perfect way to increase transparency in offices. Having a transparent work environment where everyone is aware of business goals and ambitions is a great way to boost productivity and engagement. Secondly, using gamified dashboards with leaderboards promotes friendly competition amongst employees which will drive them to be more productive. Want to see how performance dashboards can increase productivity and engagement in your office? Try Plecto free for 14 days, no credit card required. Want to know more about performance and productivity?